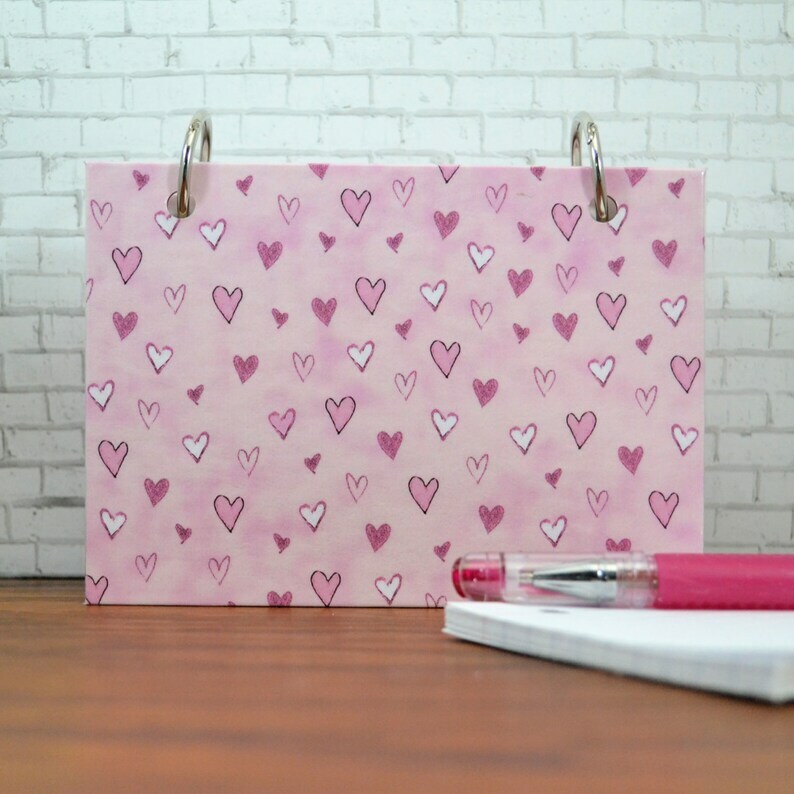 A hardcover index card laminated binder for you to write to your notes in, give to someone special or anything your heart desires. With the set of index card tab dividers that are included, you could also organize the binder into different sections to suit your needs. Included are 50 - lined index note cards and 5 dividers to separate your functional designer journal. The tabs are also covered with laminate and left blank for you. I have found that using a permanent marker works great for the tabs. It can work as a dry eraser to write on the laminated tabs. Just rub off (with a little pressure), if you make a mistake and rewrite.